Baccarat is a classic casino card game, often played for very high stakes and also known as Punto Banco. In the original Casino Royale novel, it was this game that suave spy James Bond played. If it’s good enough for 007, it should be good enough for you. Fortunately, these days you don’t have to get your best tuxedo on and sip martinis at the table. You can play online baccarat for comfortable stakes at bet365, plus grab a sign-up bonus when you register. Baccarat is a very simple game. The player has the option of betting on their own hand, the dealer’s hand, or a tie. The player bet pays out at even money; the banker bet pays out at even money minus a small commission, and the tie bet pays out at 8/1. The game is played using six 52-card decks. Aces are worth one, ranked cards are worth their respective rank and tens and face cards are worth zero. The value of the cards is added up, and if the value is greater than 10 then the first digit is dropped from the score. For example, a pair of 7s is worth 4 and not 14. For this reason, the highest value hand is 9. The player is dealt two cards, and may have the option of drawing further cards if the player’s hand totals between 0 and 5. If the banker has less than 7, they may or may not draw a new card. Betting on a tie gives online baccarat players the biggest payout in relation to their bet, but there’s a good reason for that: a tie is pretty rare. The odds of either the player or the banker winning are much higher, so it’s always better to pick a side. Of course, it’s sometimes a lot of fun to have a punt at a tie in the hopes of getting that 8/1 payout, but we don’t recommend it. Usually, online casinos will charge a commission of 5%. 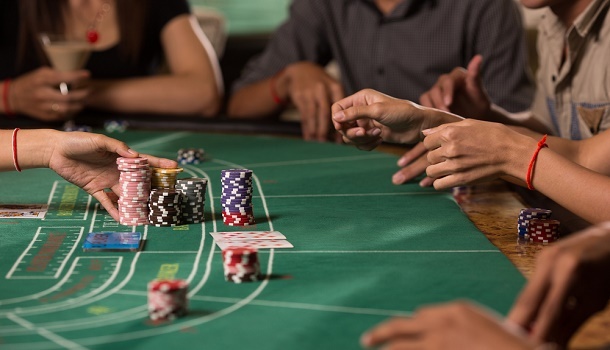 However, you may be able to find a casino (or a special promotion at a casino) in which the commission is much lower – perhaps even as low as 2.75% in some cases. Conventional baccarat strategy guides will tell you to bet on the Banker, and that is often a good tip. 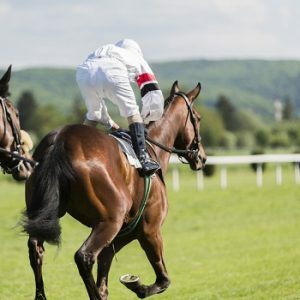 However, if you’re using a betting system then it may not be in your best interest to take the slightly better odds offered by the banker bet. The Martingale system involves doubling your previous bet if you incurred a loss. For example, if you bet $25 and lose, you will then bet $50 on the next hand. Lose that, you’ll bet $100 after. If you win, your $100 will then cover previous losses. In baccarat, using the Martingale system is not ideal. The commission charged on the banker bet will result in a net loss after a small streak of bad luck. Whether you’re playing at your local venue or at your favourite online casino, baccarat is a game of chance and that means you can lose. You definitely don’t want to put all your eggs in one basket, so it’s sensible to make sure you have enough to ride out any unlucky streaks. Make sure you know how much you’re willing to risk each time you play, and stick to your guns!